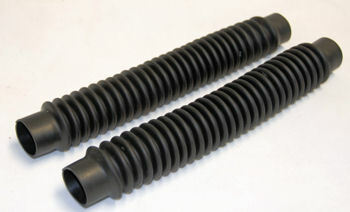 Pair of sturdy CCR hoses. One 11 inches and one 13 inches long, suitable for connection between Inspiration counterlungs and scrubber can. 1.5 inch inner diameter on 1.5 inch cuff.